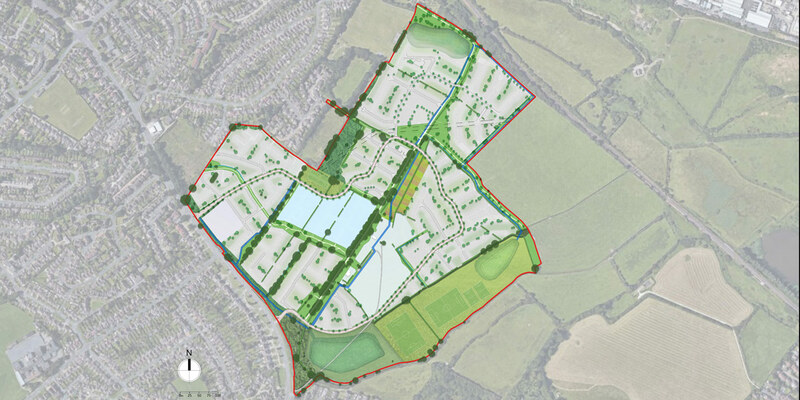 A Masterplan and Town Planning application for a new sustainable neighbourhood of 700 homes including a primary school, 8,000sqm business accommodation, retail and leisure. 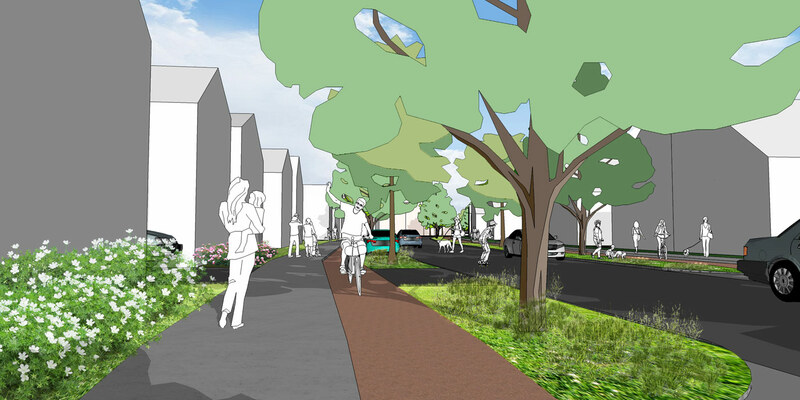 The masterplan builds on the existing strong natural landscape and hedgerow pattern to create a structured and highly permeable community with an emphasis on walking and cycling with close, direct links to the old town centre. 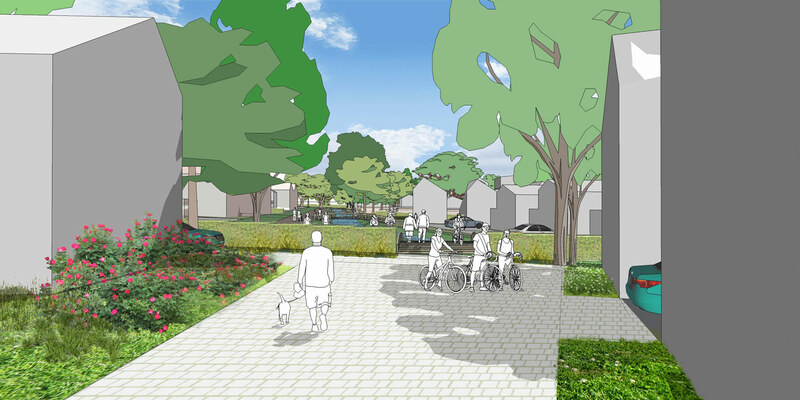 Swales and the SuDS design create new wetland areas to reinforce the ecology adding to the local biodiversity and encouraging a closer educational and leisure relationship between the residents and the environment. 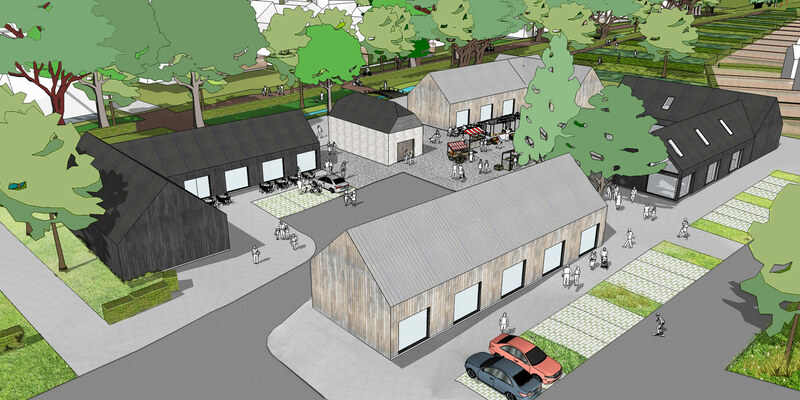 A village green with uninterrupted views of the South Downs National Park, a new community centre based around the refurbished original flint barn and home produce allotments as well as both formal and informal play areas provide tangible community assets and focus for social engagement and community integration and reinforce this new sustainable neighbourhood. 700 homes, 8,000sqm business accommodation, 2 FE Primary School, Medical Centre, Community Centre, Retail and Leisure. Masterplanner, Architect and Lead Design. Masterplanning to Town Planning.